It is easy to feel like you’re the only one working on a project – whether it is a project as personal and private as your personality, or as public as launching a new program at church – when you don’t seeGod working in, or through, anyone else. I’ve felt that way more than once. However, that doesn’t mean God isn’t at work. Take this puzzle for example. I wrote about this puzzle in the fall of 2015, it was a puzzle my grandson received as a gift for his sixth birthday. 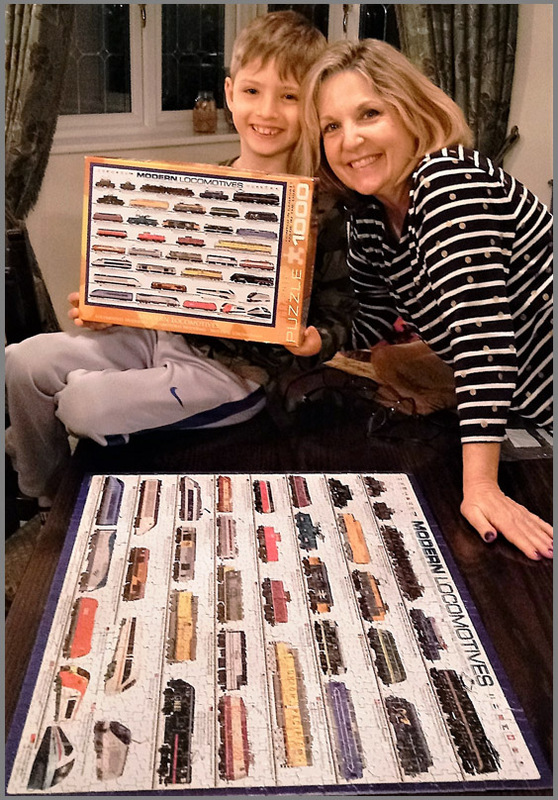 He wanted me to help him start it and I did because I love my grandson, I enjoy puzzles, and it looked like something we would have fun doing together. For two years the puzzle was unfinished. It sat just like this on a card table in a toy room in Georgia until it was disassembled, boxed up, packed in a shipping crate, and transported to England, where it found a new shelf upon which to sit. Last October my grandson asked me if I’d help him put it together again. How often do we say “No.” to ourselves? We wanted to accomplish something in our personality – change a bad habit, or adopt a good one, maybe change our attitude – but every time we tried, we only got so far, so we quit. Nothing changed and we are tired of trying and failing, so we decided that’s just who we are, the way we were made, and so we stopped. Don’t ask again. How often do we say “No.” when we are asked to go above or beyond at work, at church, in our family, or in our marriage? Because it seems we were the only one doing all the work, we grew fatigued and we eventually stopped. Don’t ask again. We all have unfinished things sitting, packed away in emotional boxes in the dark closets of our hearts reminding us of our failures – or what we perceive as someone else’s failure. Unfortunately, we are often content to let them sit there and gather thick, dark, filthy layers of dust and resentment, rather than pull them out to give them another try. Don’t ask again. How often do we say “No.” to starting over when God is the one doing the asking? Whatever the reason for stopping, and then not wanting to begin again, when God asks, we must respond with “Yes.” There are no guarantees that there will be success this time around, but there is a promise that God is at work in the circumstance. You are not working alone. God is at work in every circumstance of our lives, and he is at work for good in them (Romans 8:28-29). However, we don’t have the wisdom to dictate the timing of when to begin, or what the completed project will look like. We can trust, though, that God is at work in every circumstance – even unfinished projects – for our good, he knows what success will look like, and he knows what he is doing. The primary project God is working on is not a program, a relationship, a project, or a victory for us. The primary project God is working on in our lives is us; it is you, and it is me, he is making us into the person who he designed us to be, and he will not quit. You can be certain that the One who began the work in you will carry it on to completion until the day of Christ Jesus (Philippians 1:6). And that is what I saw happening with our puzzle – well, not the puzzle, but the people doing the puzzle. When Jake and I started the puzzle over two years ago, Jake was not ready for it. It was too much for him; it frustrated him, and, truth be told, my puzzle working procedures (separate the colors first!) probably frustrated him as well. 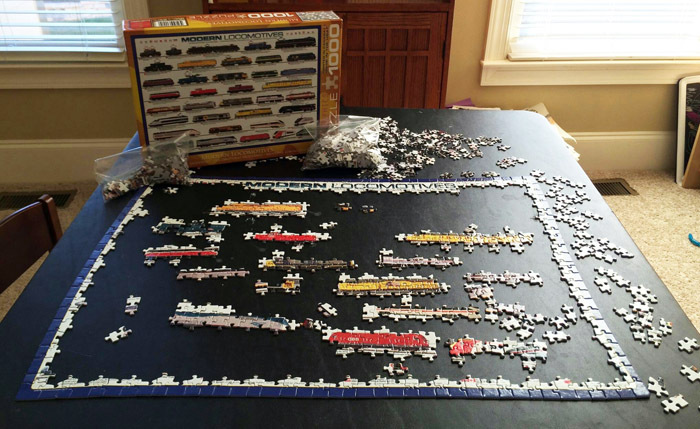 However, over the course of two years, Jake learned so much about locomotives, that this puzzle was a breeze for him. He knew and recognized nuances in locomotive colors that I didn’t know existed. Not only that, but his excitement penetrated the entire family! While he asked me to get the border started, the reality is, with Jake leading the way, we all eagerly participated. The timing simply wasn’t right two years ago; maybe our intentions were good, but the circumstances for success were not in place. God continued to work on all of us, in the silence, in the background, in the dark, quiet depth of our souls, and when the time was right, something as unimportant as a puzzle was brought out into the light, and finished. A puzzle. Less than a speck of dust in the grand scheme of things. But, what wonderful lessons it had for me: Never give up. Always be open to help. Wait on God’s perfect timing. And, trust that God is always at work in the background, in others, in the circumstances, and in me. What work is God calling you to begin again? 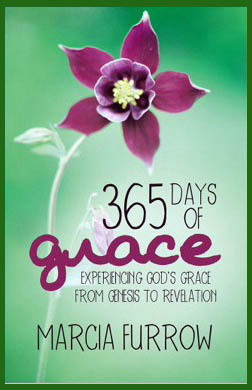 Will you set aside your biases and issues with the past, pick up the work, and trust God with the timing?